Muhammad Ali is here, from 1967, and so too is Billie Jean King, circa 1973, and Nelson Mandela from 1995. The images are of boxers and tennis players, politicians, NBA point guards, NFL stars turned soldiers, drivers of racing Chevys, murdered Olympic athletes. All are depicted in a new series of 20 artworks commissioned by the web sports colossus Bleacher Report and something called the Creative Action Network, a collective of artists and designers from around the world. Those taking part in Transcend: Moments in Sports That Changed The Game were charged with creating “a single work that captures a sports figure, event or evolution that hold power and meaning far beyond any scoreboard.” And so Ali’s refusal to join the U.S. Army is represented alongside King’s victory over Bobby Riggs in the “Battle of the Sexes” and the role Mandela played in turning a Rugby World Cup into a pivotal moment in South African history. Hockey’s here, too, thanks to Michigan artist Mark Forton and his take on America’s now-and-forever myth-making miracle that unfolded on the ice of the Olympic rink at 2634 Main Street, Lake Placid, New York, in February of 1980. “David versus Goliath,” Forton has written about his work, here, “good versus evil. 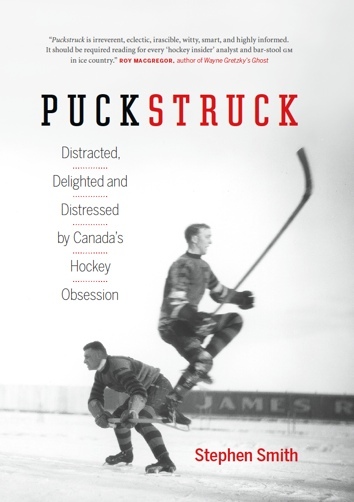 One of the greatest hockey games ever to be played is not only a historical snapshot of Olympic competition but also of our world at that time. Nothing defined our culture and who we were as Americans like this hockey game did 35 years ago in the shadow of the Cold War. 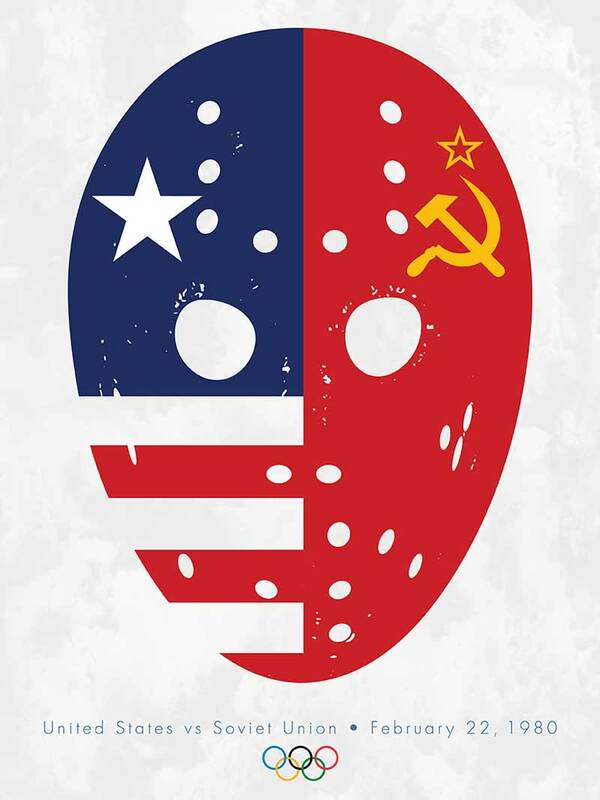 With this project I wanted to reflect on the historical aspects of the game of hockey represented in the old-style hockey mask and also the divisions that separated the USA and the old Soviet Union at that time. Even though the divisions were great at that time — the red that runs through the Soviet Union flag and the red in our US flag bleeds the same. Like the red blood that runs through our veins. Equal, two equally fantastic teams that defined Olympic competition at its best. It was an honor to work on this project for the Miracle on Ice.